Model Driven Architecture (MDA) is being adopted as a new development strategy. MDA is based on both the definition of models at different levels of abstraction and the application of consecutive transformations in order to obtain code from these models. However, little methodological support is provided to both define and apply model-to-model transformations. 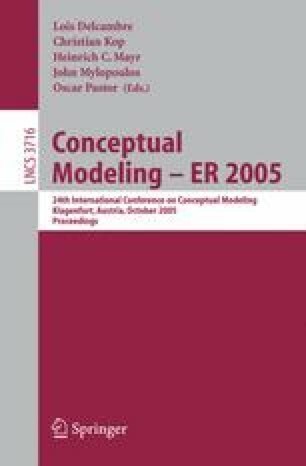 In this work, we introduce a strategy based on graph transformations that allow us to automate the derivation of the navigational model of the OOWS method from early requirements specifications, by following an MDA-based development process. In order to define and apply the graph transformations the Attributed Graph Grammar tool is used. In addition, due to the OOWS PIM-to-Code transformation capabilities, we show how this strategy allows us to obtain prototypes of web applications from early requirements specifications.